This is the next post in my series on making an emergency change of child custody request in Las Vegas, Nevada. My last article discussed whether Courts will consider one’s custody situation to be an emergency. It is important to understand that a Judge will be unlikely to see the matter as urgent unless the child is in danger or being subjected to some form of trauma. A simple disagreement between the parents will not likely be seen as an “emergency.” In this post I will discuss the process of requesting an immediate hearing when situations warrant it. If you need assistance then contact my office today to speak with a family law attorney. The process of changing custody begins by filing a Motion with the Court. This is a formal document in which one explains why they are requesting a change, what they believe the proposed custody visitation schedule should be, as well as the facts and law supporting the request. The Court will set an initial hearing, typically for six to eight weeks later, when the Motion is filed. That process can be shortened by filing a Motion for an Order Shortening Time along with the original motion. This is a short document in which one explains why the situation is an emergency and why it would be detrimental to the child if the original request were not heard for several weeks. Courts quickly review requests for shortened time and, if the situation warrants it, they will hear the modification request at an earlier date. The opposing party must be given at least one “judicial day” of notice prior to the hearing. This means that one full business day must exist in between the time that they are informed that there will be an expedited hearing and the hearing itself. This can mean that it will be necessary to have a process server deliver the Order Shortening Time to the other side. If, for example, the Court rules on Monday that a hearing will be held Thursday then the only way the other side could be given adequate notice is if the Order is personally delivered. Failure to give the other side adequate notice of the hearing will result in the Court rescheduling the hearing for a later date. If you believe that your child is in an emergency situation and you need to file for a custody modification then contact my office today to speak with an attorney. 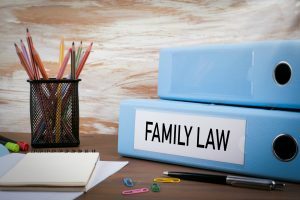 As a Las Vegas family law lawyer I have handled many such situations and, if the situation warrants it, my office will file for an Order Shortening Time. We understand that you are facing a serious situation and we will take it seriously.